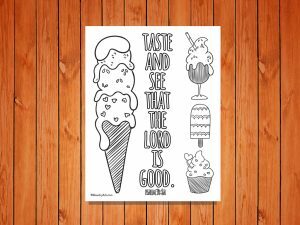 If you love this ‘Taste and See’ Printable (Psalm 34:8a) as much as we do, please share it on Pinterest so others can use it too! Yummy! 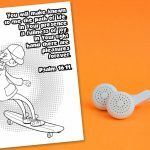 That’s what your kids will be saying as they color in this fantastic coloring sheet! 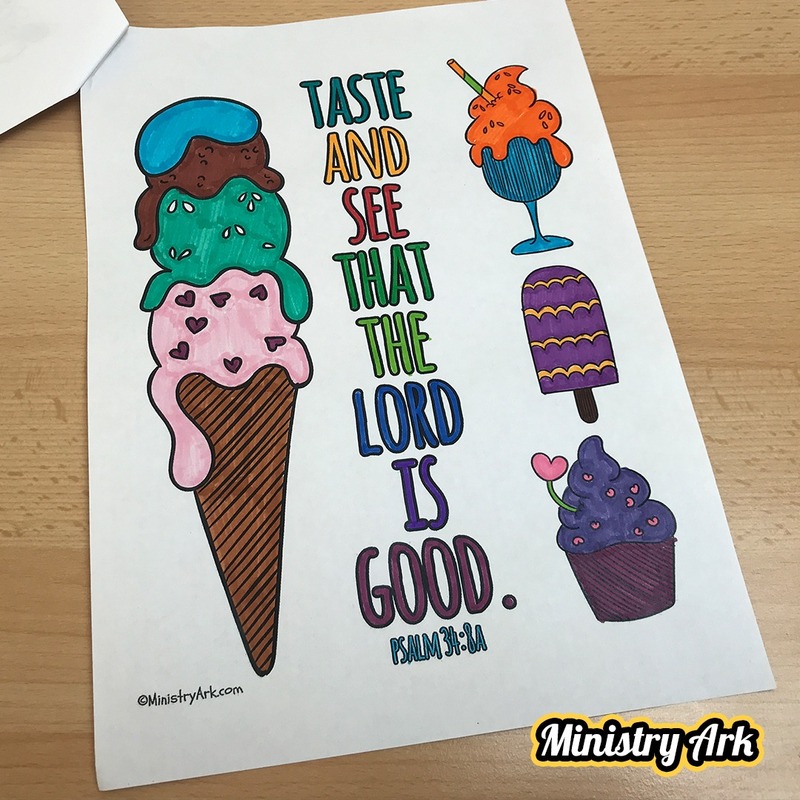 The ‘Taste and See’ Printable takes the verse “Taste and See that the Lord is good” (Psalm 34:8a) and reminds children of some of the yummy things that they like to taste here on earth. Why not speak to your children about how good God is in comparison to these tasty treats. Remind your kids that even though these things taste amazing, there is nothing that can match God’s love and compassion for us! They might think it is strange at first – “Can we eat God?” – so you might want to remind them that just like we look forward to eating food because it tastes so good, we can look forward to spending time with Our Heavenly father because He is so much better than anything this world can offer us – He is SO good! 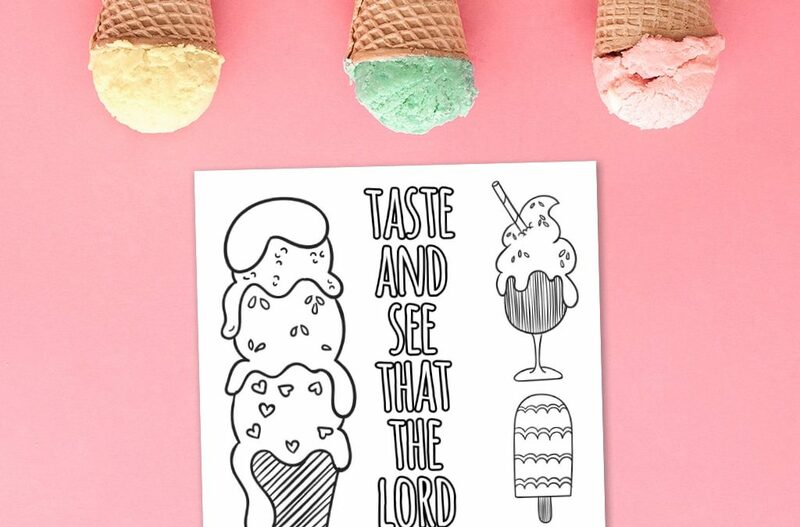 We couldn’t resist giving the ‘Taste and See’ Printable (Psalm 34:8a) a color ourselves! 1. If you were an ice cream flavor what would you be and why? 2. 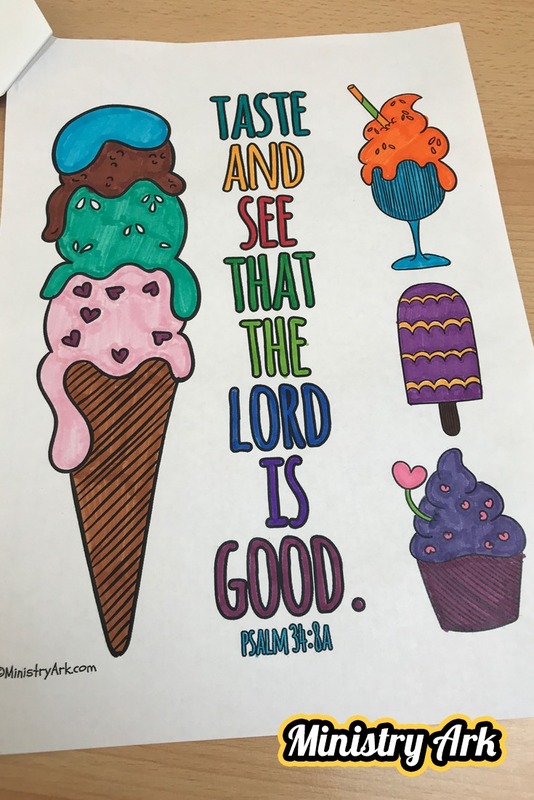 What does it mean to taste and see that God is good? 3. If God was an ice cream what kind flavor and taste do you think He would be? 4. 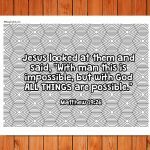 How can we see that God is good? 5. What things would you like to thank God for?